Hey you! I wrote a new solution for this problem. You can check it out here. There's a supermarket around the corner of my workplace and I'm often responsible for grocery shopping. So I create and tweak pretty lists on Clear or Ita. But how can they remind me to hit the market after work? That's when Fantastical[^1] and Drafts come to tie everything together. 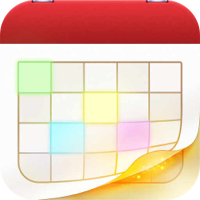 Why Fantastical and not any other calendar app? It's the only one with x-callback-url available, an essential feature for my action to work. Why Clear and Ita and not any other list app? These are great apps and offer different yet fully functional url schemes that won't require you to trick with Dropbox actions[^2]. Why not Due for the reminder? I'll get into the Due schema soon[^3], however, since it only supports direct input as timers without appealing to its natural language support, which requires an additional tap to adjust the reminder[^4], I prefer to set these alerts with a specific hour into the calendar instead. The objective of this action is to create a grocery list in Drafts, send it to your favorite list app (Clear or Ita) and set an event in Fantastical to remind you to check the supermarket after you leave work. I hit the road at 19h here, so it will be the start of the event through the rest of this article. You can adjust as it fits your routine.